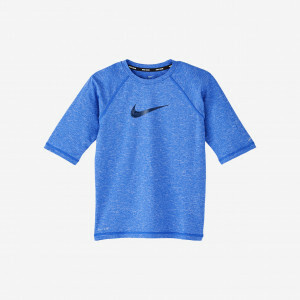 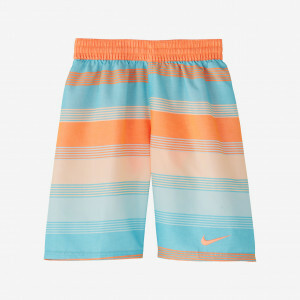 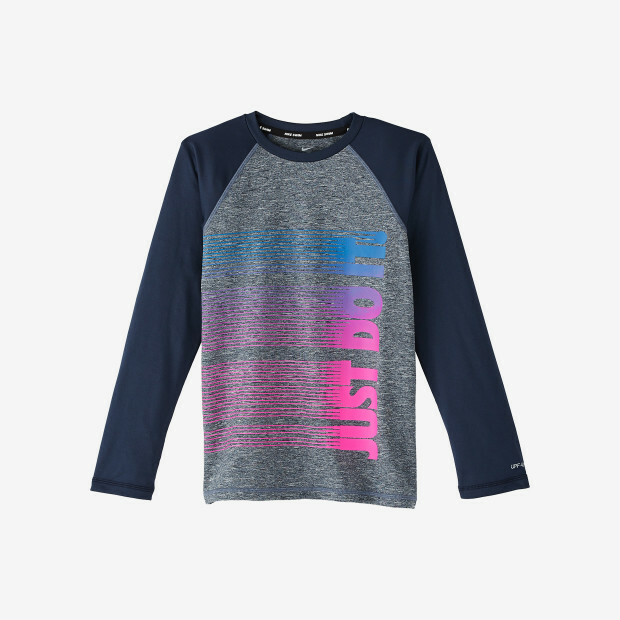 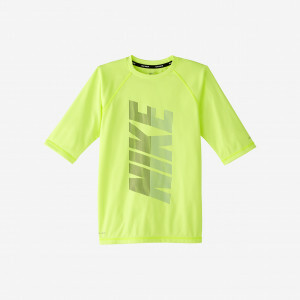 Nike Swim Boys' Heather JDI Long Sleeve Hydroguard utilizes Dri-FIT technology to keep skin feeling dry and sweat-free. 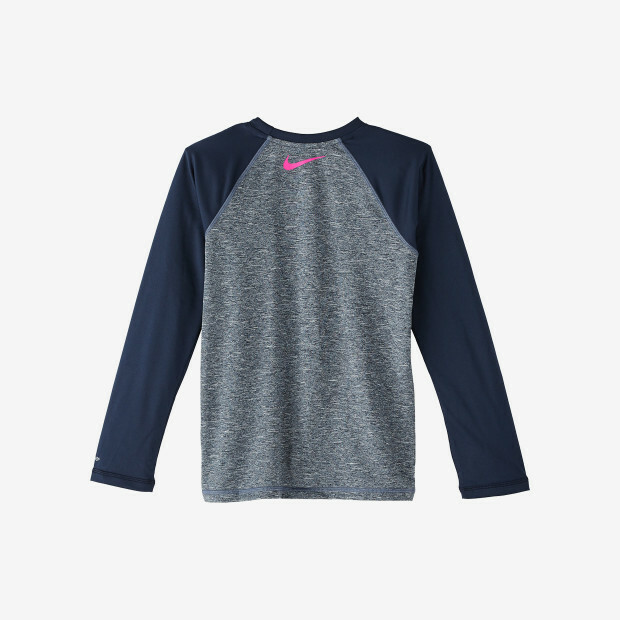 This rash guard gives UPF 40+ UV protection to covered skin, protecting it against sun and wind-exposure. 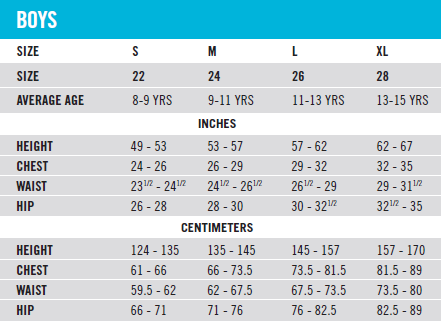 Taping inside the neckline and a flat-seam design mean this swim shirt offers a chafe-free fit.